We love hearing stories of some of the old time baseball players. Some of my dad's favorites were Pete Rose, Joe Morgan, Andre Dawson, Mike Schmidt, and Dave Winfield. Even before those guys would step onto a baseball field, there was Jackie Robinson. He broke the color barrier in baseball back in 1947 and opened the doors for African Americans to play baseball in the Major Leagues. His daughter Sharon Robinson was coming to the Lititz Library to sign books, talk about her dad, and telling us all what it was like growing up the daughter of Jackie Robinson. 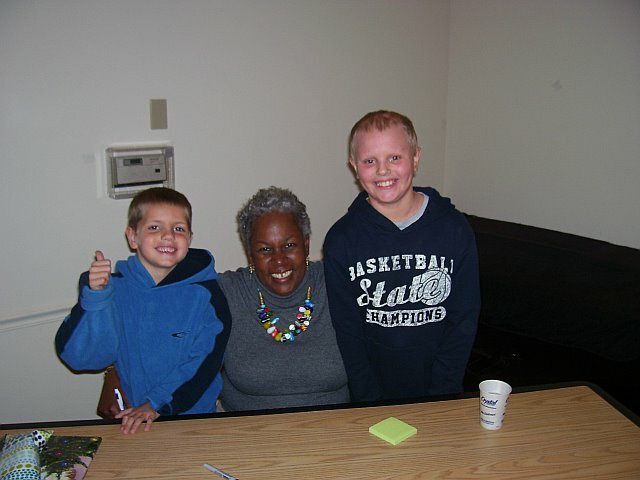 We spent over 2 hours listening to her stories, checking out her books, and asking questions. One of the coolest stories was about their first Christmas in Brooklyn which she wrote about in Jackie's Gift. At the end she signed her books for us. It was a really cool afternoon listening to her stories comparing baseball back then to now. She is a great author of books for all ages and has a job in MLB as the director for educational programs. If you get a chance, check out one of her books. Baseball helps remember the legacy of Jackie by retiring the number 42. So, today we will donate .42 for our autographs from Sharon. Thanks Sharon!